Katalyst Kombucha is a naturally fermented traditional tonic made from sweetened tea and a mother culture know as a SCOBY…. Bulk kombucha provides a very attractive means of dispensing fresh carbonated kombucha tea while significantly decreasing packaging. Add some color to those Easter Baskets! Wait until the end.... That’s right! We’ve got Kombucha in cans!!! Currently available exclusively in the ArtBev Taproom, we now have cans of our hopped and raspberry lime flavors. Open Fri 4-7 and Sat 2-6 Limited run so come grab one before they are gone!!! Katalyst Kombucha is attending an event at Brick South. We are having a great time at the Associated Buyers Tabletop Show in Portland ME! Here is Sandy with the owners Suzette and Carta!! 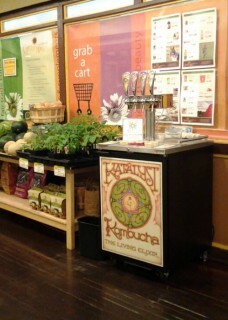 Katalyst Kombucha is at Whole Foods Market (Hadley, MA). Please join us Sunday, April 7th at Whole Foods in Hadley MA for local day! 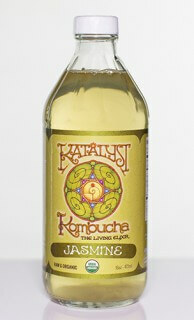 We will be sampling Katalyst Kombucha from 12-3pm!